Eileen Remedios took the route of kindness over anger after she realized her bike was stolen and left a note on a lamppost in the area where it was taken. She implored the thief to return it. 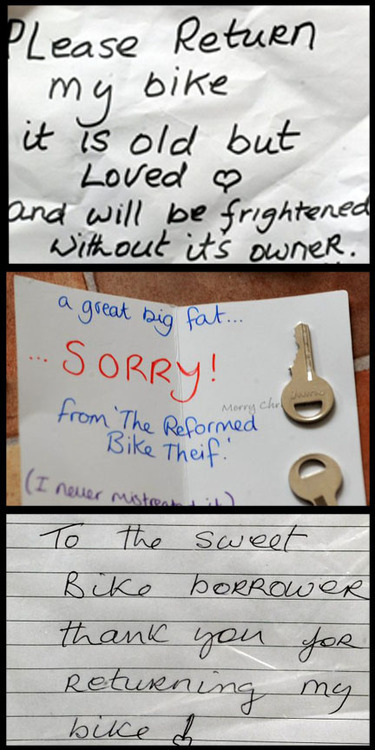 Sure enough, the next day the bike had been returned, along with keys to its lock and an apology note. Then Remedios left one more note of thanks.